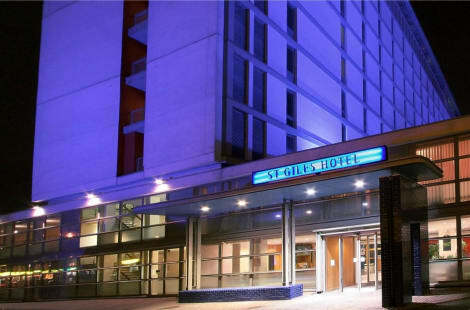 The 3-star St Giles Heathrow – St Giles Classic Hotel is located a 10-minute drive from Heathrow Airport and a 5-minute walk from Feltham railway station, which has a fast and regular service to London. Guests have complimentary use of the fitness centre and wi-fi provided throughout. Every room has air conditioning, tea/coffee welcoming tray, cable TV and soundproof windows. The hotel bar has an inviting and relaxing atmosphere and is a great place to unwind after a long day.